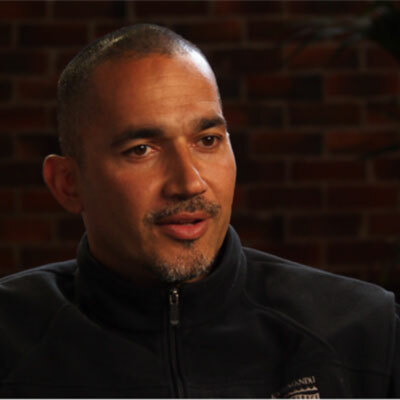 David Vadiveloo is a screen director/producer, human rights lawyer and educator. He is also the founder and director of the social justice change agency Community Prophets (www.communityprophets.com). David’s multi-awarded screenworks include dramas and documentaries such as ABC TV’s Us Mob series (the worlds first interactive Indigenous children’s series), the AFI and ADG nominated Burn and Voices from the Cape and the internationally acclaimed short Bush Bikes. For his work as a human rights advocate and educator, David was honored with the 2005 Australian Human Rights Award for Individual Community Achievement, and in the same year became the youngest person to be Highly Commended for the Australian Human Rights Medal which recognises lifelong commitment to human rights. He has facilitated programs, consulted and been a mentor and speaker throughout Australia, Indonesia, South Africa, Canada, and the United States. Since 2007 David and his wife, Rachel Naninaaq Edwardson, have worked in close partnership with at-risk youth in the Northern Territory, Queensland, Victoria, NSW and Alaska. In 2015 David piloted an Identity and Culture Program for young offenders at the Parkville Youth Justice Centre in Victoria. The program will be rolled out in 2016 across the Parkville and Malmsbury facilities.